Members of the public have been told to brace for more rain in the next few days. 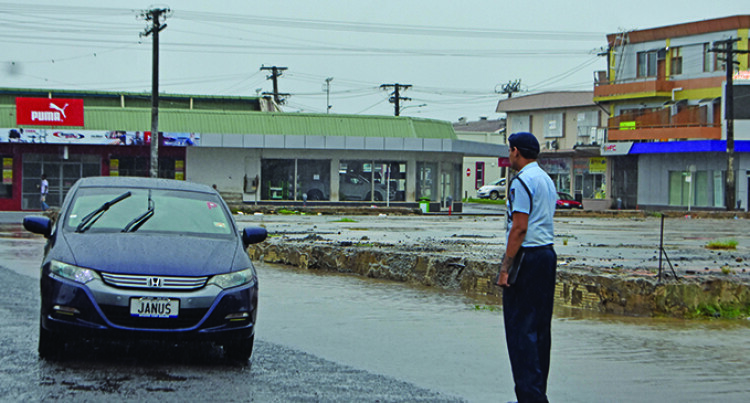 This is because a heavy rain alert remains in force for the Fiji Group says Acting Director Fiji Meteorological Services Viliame Vereivalu. In an update yesterday afternoon, Mr Vereivalu said a trough of low pressure lies slow moving over the group with associated rain and showers. He added the forecast for midnight tomorrow entails occasional rain, heavy at times and a few thunderstorms over Vanua Levu, Taveuni and nearby smaller islands, Lau, Yasawa and Mamanuca groups and the northern and western parts of Viti Levu. “Elsewhere, occasional showers, increasing to rain and a few thunderstorms can be expected. “Isolated heavy falls also expect- ed and may lead to flash flooding of low lying areas,” he added. For the outlook for Sunday, Mr Vereivalu said rain and thunderstorms over most places are to be expected. Parents and students need not be worried by the heavy rain alert as the weather is expected to clear by Monday. Mariners in Rotuma, need to take precautions and heed the weather warning prior to venturing off to sea because moderate to rough seas will be experienced. Elsewhere in the Fiji group will experience moderate seas.